Watch the videos and write your own review below! Here are videos for Absolute, and a new song called Overcoats, plus Forgiven from Rough Trade Summertime Blues CD in 2007 and Day Late and Dollar Short from the recent Absolute Best of Scritti Politti compilation Green published with David Gamson. Click the full screen button for a bigger view. Thanks to an Anonymous Bibbly-o-tek.com regular reader for the videos! UPDATED (Dec 10): The new song is called “Overcoats” -Thanks Rhodri! Hi, it’s tiny & there’s no ‘full screen’ button that I can see. and embedded here. The Quicktime thing is rubbish! And it’d save you bandwidth. On the bottom right corner of the video is an icon with two arrows. I have tested it on iPad, Mac and PC. Posting it to YouTube allows someone else to make decisions about the content. When it can, bibbly-o-tek.com will host this stuff as and treat it like a curator. In this case, these files were hundreds of megabytes each. QuickTime and h.264 made them one thenth the sizable with minor loss in quality. Make sure you have the latest QuickTime and retry. Let me know if that helps. Hope, still no luck. Two arrows bottom right. Fast forward & fast rewind. Hmm. Sorry you are still having trouble. What version does it say under about? What operating system are you using? Every new Scrittisong is like a venture also ‘Slow Deceit’ and ‘Overcoats’. More you listen, more you discover. 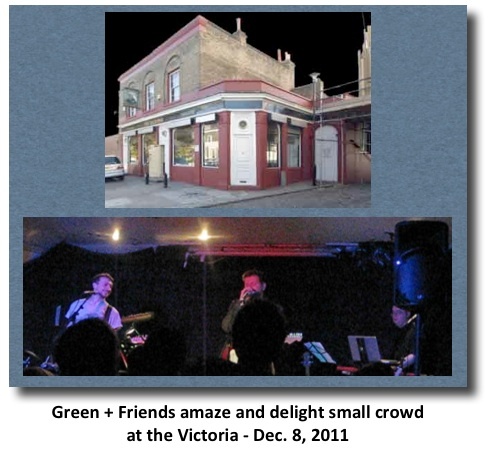 Never boring because Green used lots of style of sounds and always match things in perfect harmony with the polyphony of voices. I completely disagree with people whose says the albums ‘Cupid & psyche’ and ‘Provision’ sounds too polish. I’ve found that Tawatha Agee (Backing vocal) with here rough voice make it a litle bit unpolished. Intresting how Green using his ability to mix the sound of different instruments and voices to something dynamic and fluid. Word to Rhodri: Thanks for your help to give us the right information, we all appreciate it.